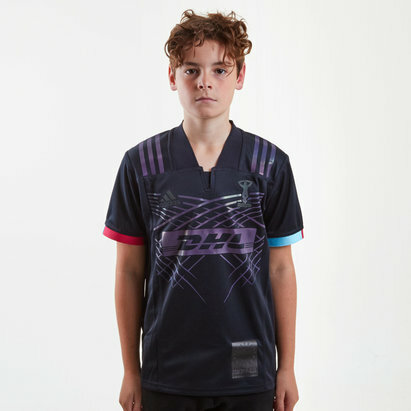 Don't miss out on the fresh, new Harlequins shirt as the 18/19 Youth Home S/S Replica Rugby Shirt takes on its next generation with an edgy design from adidas. 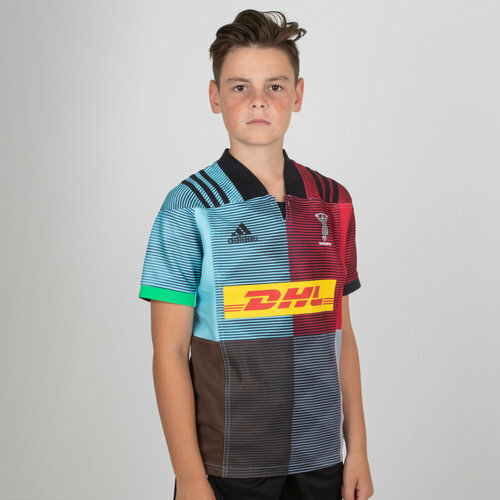 As one of the founding members of the RFU the Gallagher Premiership's Harlequins have brought out their new home shirt for the current season in collaboration with adidas. 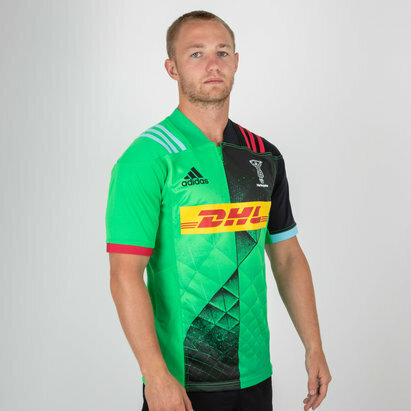 Sticking with the club's jester that has been the club's motif for over 150 years the Harlequins home shirt for 18/19 comes with a bit of swagger. 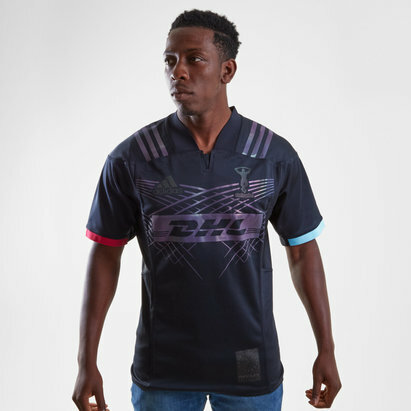 This jersey pays homage to the history of the club whilst displaying confidence and the self-assurance of the jester The shirt comes with the traditional quartered design which can be seen from a distance with smaller quarters visible up close. 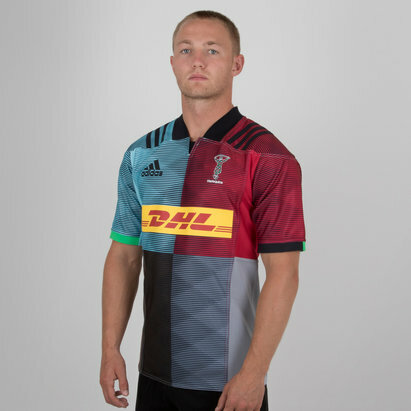 The kits use all the six traditional colours in the Harlequins palette and the midnight blue is a nod to the 1912 handbook when the Club prescribed that it wore navy blue ‘knickerbockers’ and socks. 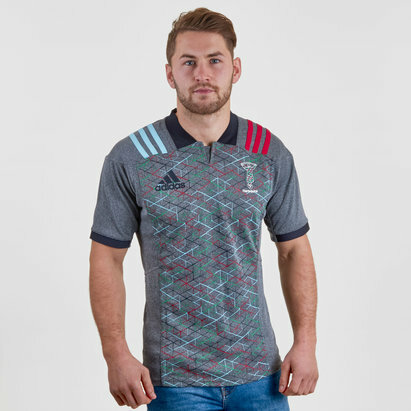 This shirt has the Harlequins crest on the left and the adidas logo on the right. 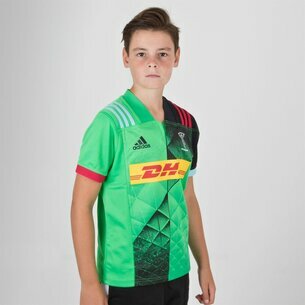 The club's sponsor - DHL - is across the middle.